It’s best to wait until the pears are ripe (yield to gentle pressure), but half of mine were under ripe when I started because of schedule limitations. I did two separate batches, although as of today I am unable to distinguish between the two (however the seckel infusion is a week behind the comice infusion). Some infusions say to wait 40 days or 80 days, but this one is three weeks in total. Good for people who don’t have the patience for those lengthier infusions. 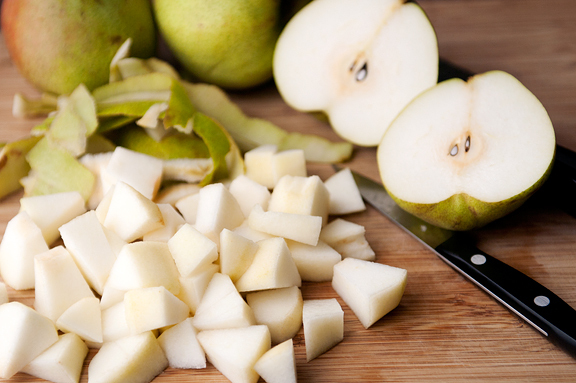 After the first week of infusion, strain out the pear pieces. There seemed to be so much good liquid in the pear bits that I mashed them up a little and strained out the excess liquid which added a slight cloudiness (pear pulp that got through the fine sieve). Seal up the liquid and place in a cool, dark location for another two weeks. The vodka turned a lovely amber color and carries a delicate pear scent and flavor. I divvied the pear liqueur into pretty bottles and tagged them. Vodka infusions are terrific homemade gifts and this is by far the fastest and easiest one I’ve made. 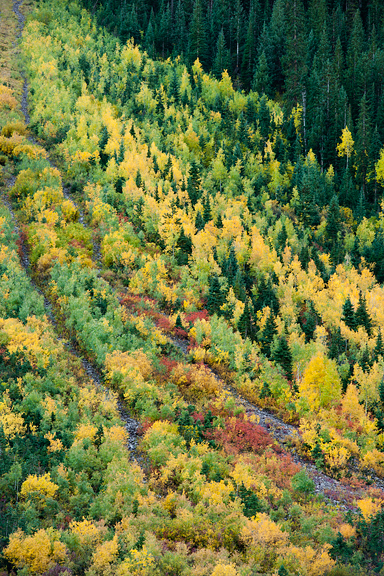 It has autumn written all over it. As soon as my infusions are ready, I always want to make a cocktail with the new booze. Since I know nothing about cocktails, I went in search of some pear vodka cocktails and one called “Absolut Pear Garden” caught my attention. Instead of using Absolut Pear vodka, I *of course* substituted my own pear vodka infusion. I can’t help that I’m such a fan of fruity and this drink was more like adult fruit punch: pear liqueur, cranberry juice, crème de cassis, lemon juice, simple syrup. This isn’t the kind of cocktail where the pear stands out because there are so many flavors swishing around in your mouth. But they come together well as a combination of sweet, tart, slightly bitter, and mellow – with a kick from the booze. It’s a little too drinkable, if you know what I mean. Peel, seed, and stem the pears. Cut them into 1″ pieces and place in a large glass container (at least a half gallon – I doubled the recipe). Pour the vodka into the glass container. 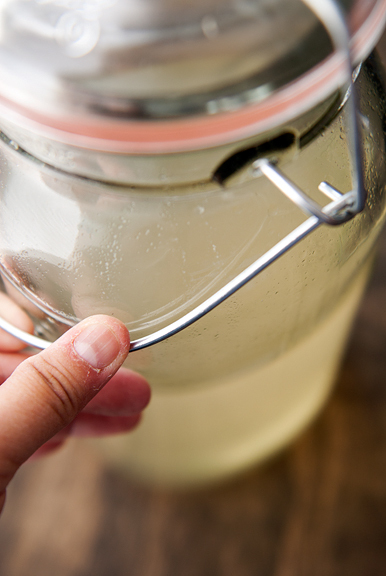 Seal tightly and shake the jar. Place the jar in a cool, dark location for one week. Strain the pear out and then let sit for another 2 weeks. Place martini glass in freezer. 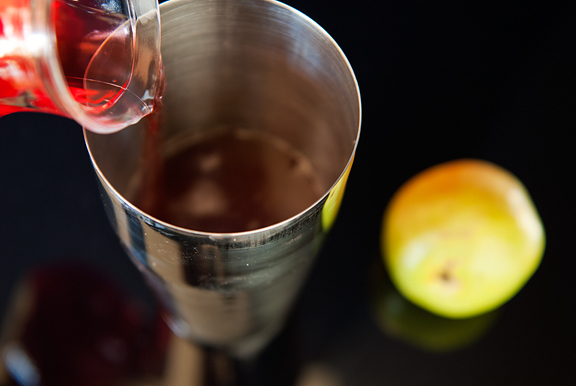 Pour everything except the pear garnish into a shaker, fill with ice, and shake until cold. Strain into cocktail glass. Garnish with pear slice and other fruity things. Go girl drinks! Makes 1 big martini (8 ounces). 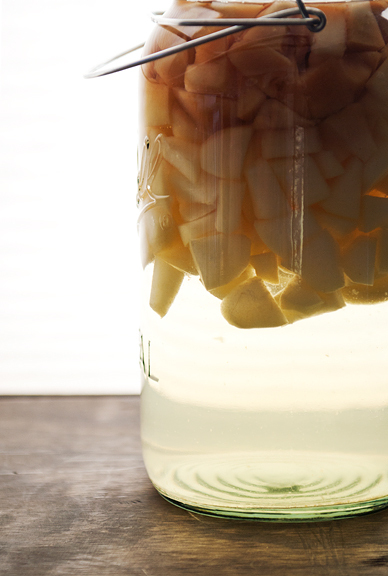 Wow, who would’ve thought pear liqueur would be so easy to make! I love the stuff (but mostly in baking, less so in imbibing :) ). 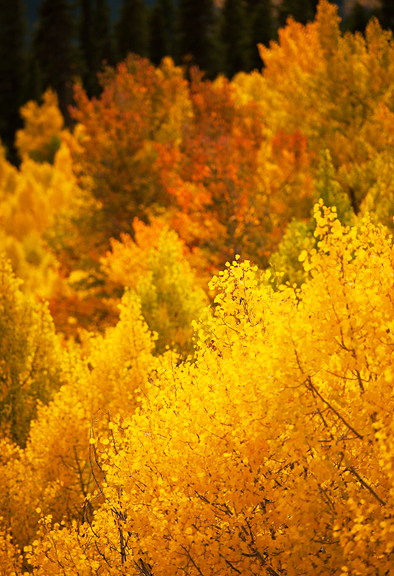 I am gushing over your photos of fall Jen! 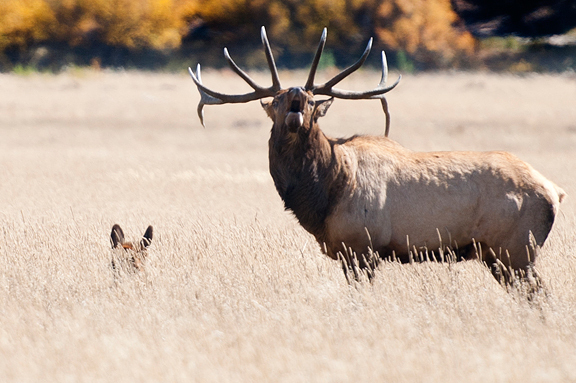 Especially the ones of the elk. 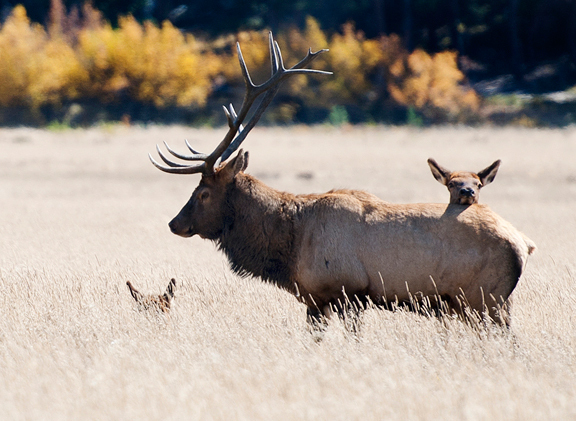 I adore the one with the young elk laying it’s head on the back of the older male – love it. so. much. I never knew pear liqueur was so easy to make. I agree – what a great, homemade gift for friends. Photography leaves me speechless, but then you went and played with pears and Vodka. Will you ever learn? Sometimes your attempt to entertain can overwhelm. ;) Just look at me! I am worthless until I get my hands on some comice and seckels, a bit of vodka, and an afternoon of freedom. The photos are beautiful! It’s never occurred to me to infuse a liquor before. This seems like an awesome gift idea for someone who’s really into fancy drinks. Oh, just gorgeous! 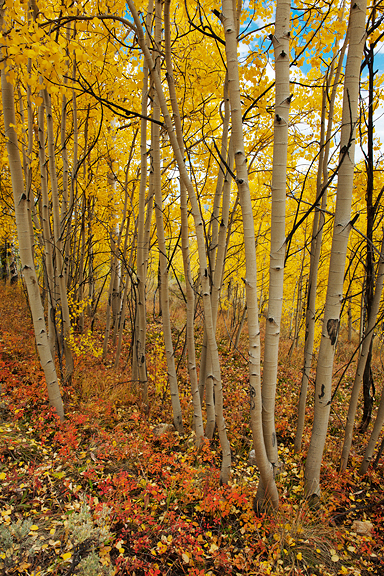 Your photos have me salivating to get up the the White Mountains here in NH for some fall colors. It’s a long drive, since I’m at the bottom of the state, but so worth it! You’ve also inspired me to make some pear liqueur. I’ve never tried to make anything like that, but you’ve made it look so easy! Thanks! 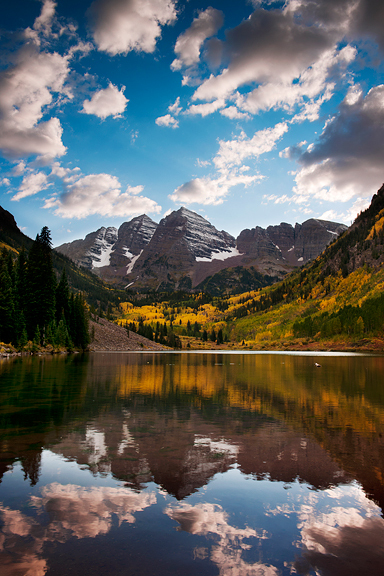 I will use this post to help people understand why I am so in love with Colorado. And I don’t even live ‘in’ the mountains like you do Jen. Just gorgeous. 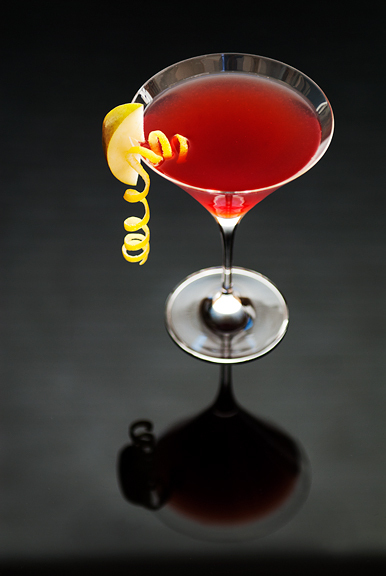 Would LOVE for you to link your drink to something new I’m doing on my blog. It’s Happy Hour Friday…I post an appetizer or cocktail and invite others to leave a link to their post with one of the same. This is perfect. 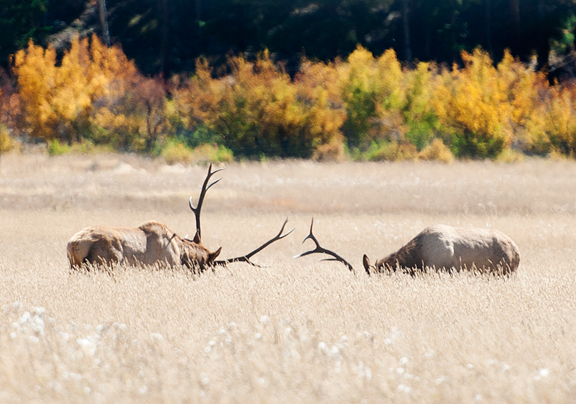 Stunning fall colors and great elk shots! 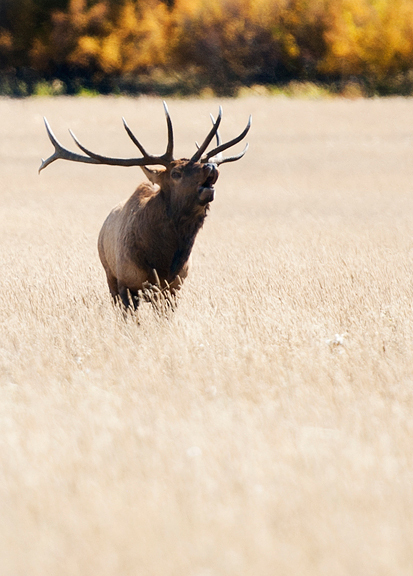 The sound of elk bugling is awesome to hear in person. The bottles and corks you used to bottle the infusion are so pretty! At what kinds of stores can you pick those up? I’m with Charlene, where’d you get those bottles? The shape is perfect. I’m hoping you didn’t just buy a LOT of fancy vinegars and use those bottles. :) Thanks Jen. I spotted the great Williamsburg word “tourons,” Jen! I hadn’t heard that in a while. We have an annual pass to RMNP and usually don’t encounter too many people when we go. 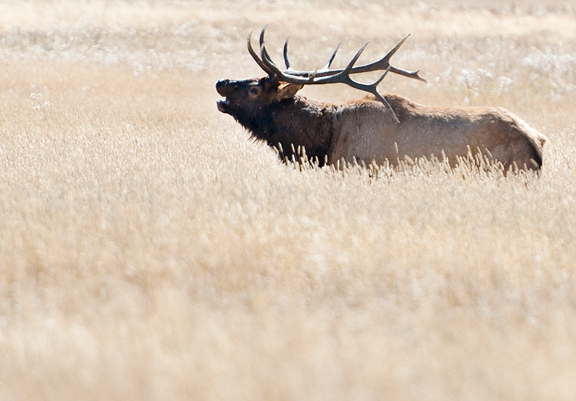 The rut is definitely a busy time, though. Thanks for the beautiful photos! Yum, what a delicious idea! Pears are such wonderful fruits! Very versatile! I’m not sure which shot is my favorite–they’re all stunning. I’ve never infused vodka before but pear sounds tempting. I’m glad you got such wonderful results from your trip this year! I really have no words. Photos are just beyond belief. “healthy gold stands near gothic” is unreal! Beautiful work! To live in such surroundings must bring incredible joy – no wonder you are compelled to shoot as much as you can…and with such results. Breathtaking. Love the pear infusion recipe and off to get some comice pears myself tomorrow. I covet some of the ‘amber liquid’. So glad I landed here today. Just in case no one has told you this in the last 24 hours… YOU ARE AMAZING. This blog is equivalent to my bible (or Torah in my case). I can’t wait to try this latest pear concontion. You’re like a mad scientist bringing the unimaginable to the masses. Thank you! This blog has so amazing pictures. It makes us be sure how nature is perfect!! Thanks for sharing! Everything is so beautiful in this post, from the scenery right down to the bottled booze! Those are indeed pretty bottles! 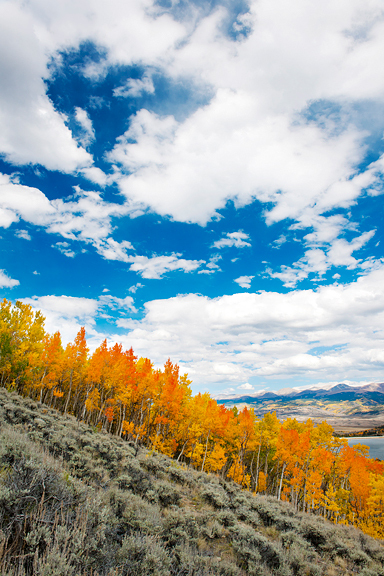 Amazing photos, sadly we don’t get the same fall colors in the Bay Area. We get a distilled pear liquor from our own pear, produced by a neighbor, your seems so much faster and requires no distillation! I would love to taste this cocktail, it sounds really delicious. Margie – wow, you’re planning ahead. Good for you. 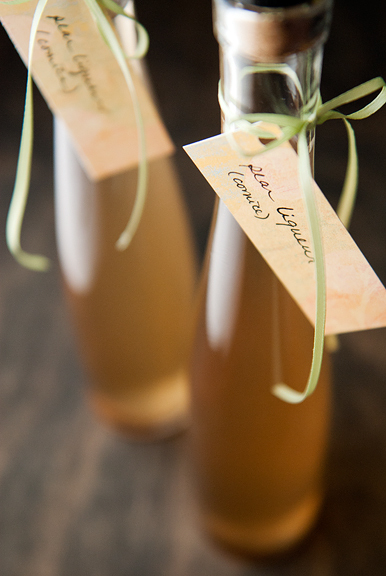 Lacey – even if people aren’t into fancy drinks, they make pretty gifts. 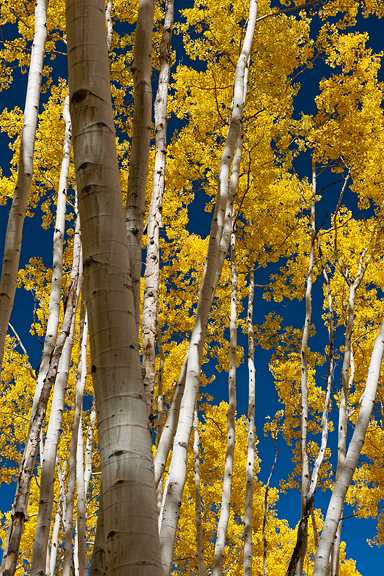 Elle – I imagine NH has some stunning colors. I lived in Ithaca, NY for 6 years and noodled in the Whites. The reds are so amazing. Phoo-d – totally agree about the bugling! TKW – it’s fun. 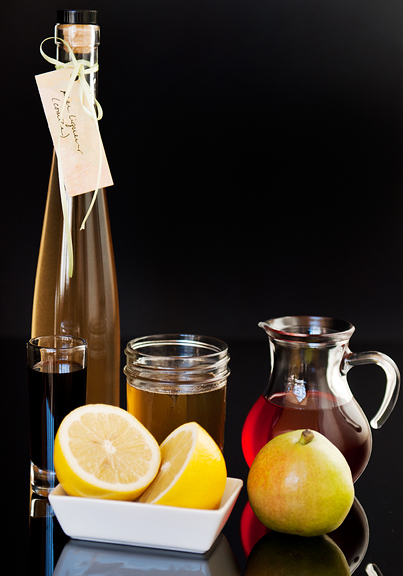 We can totally get together and infuse some stuff this fall/winter! Sandra – thanks for dropping by! Mrs. Ergül – It’s hard to say. 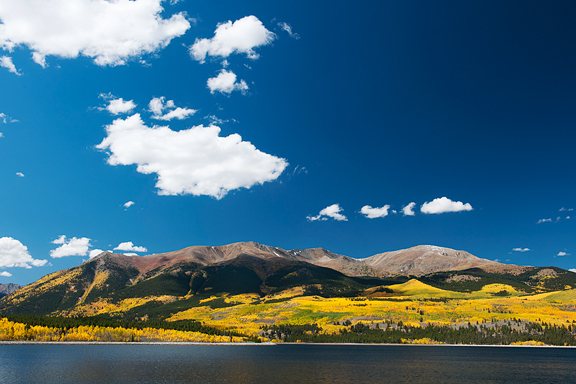 Colorado is really lovely in summer and a lot less volatile. 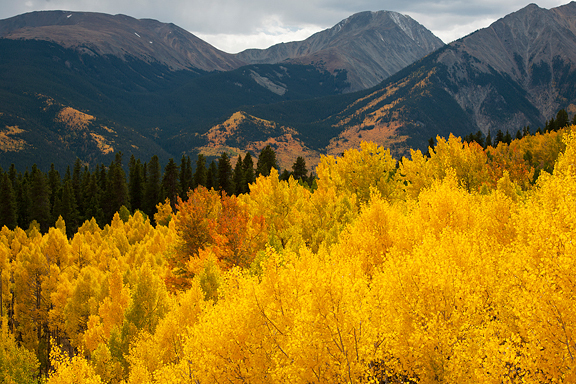 In fall, we can get winds and snow – which is why shooting the leaves can be a game of Russian Roulette. Laura – wow, sounds like great neighbors to have! Jenyu . . . fast forward . . . October 13, 2012 . . . my oh my . . . such gorgeour pictures. 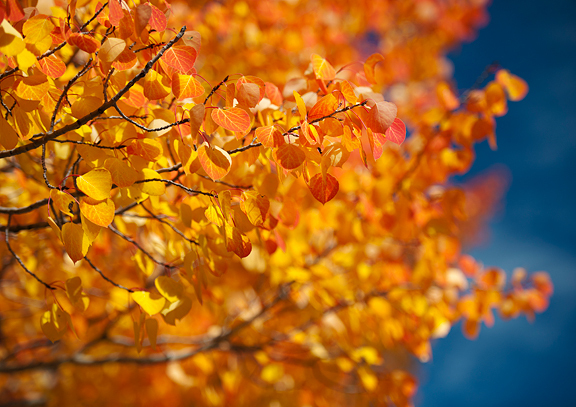 How are the colors this year? 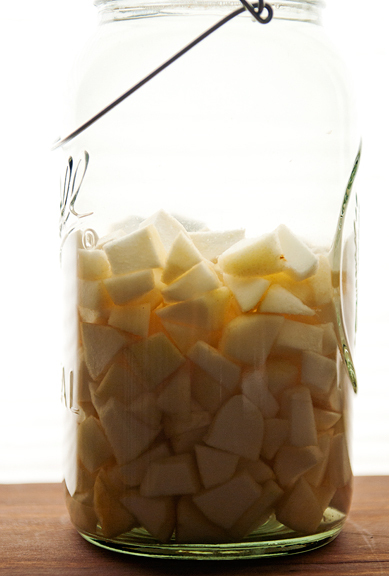 I stumbled into your site because I have been looking for pear liqueur recipe to use for my Chojuro Asian Pears. Yummmmmmmm your recipe sounds so good. I will try yours. 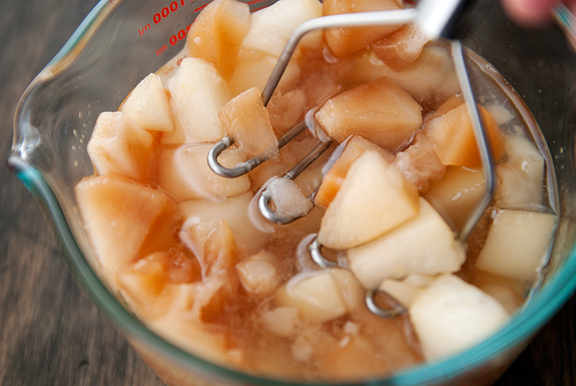 In the past, I used something else for our European pears but your recipe is worth making. Thank you for sharing your photographs & the recipe. My best to you & yours. Hi! Wondering what the shelf life is, once infused. Thinking of holiday gifts…and don’t want to make too far in advance. Thanks! MB – even if you start now, it should be good through January. Actually, I think these things are good for at least 6 months if not a year. There’s just so much booze, nothing goes bad (but keep it refrigerated or in a cool, dry, dark place). Jen, Just finished distilling the pear vodka and am disappointed in my results. I used Bosc pears because that’s all they had at my Whole Foods. I left it for 3 weeks and my pears haven’t produced hardly any juice when pressed. 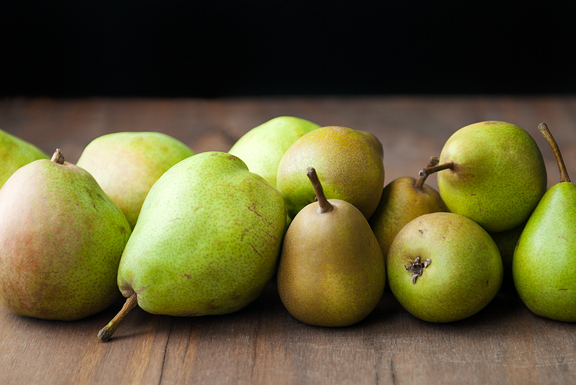 Could it be the pears, being Bosc instead of Comice or Seckel? I love your Peach Shrub (still have some in the fridge) and I have the Buddha’s Hand Citrus Vodka in the cupboard. May have to start over with this one. Any suggestions? Terri – oh no! Were the Boscs ripe when you cut them up? If they weren’t dripping juices then, I think that might be the problem. Otherwise, I can only guess that it was the variety of pear? Both of mine were super juicy. I’m so sorry. I wonder if you could try again with super ripe pears? 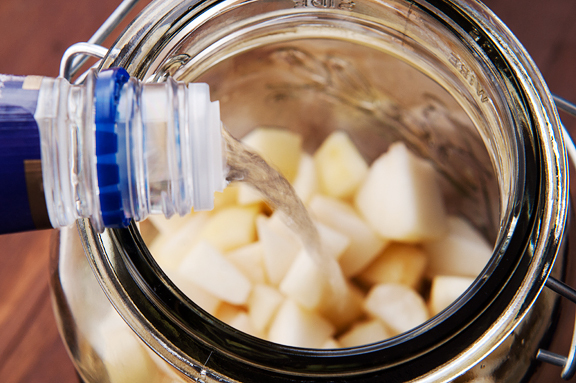 Don’t toss out the vodka – keep it for the next batch of pears. Is the pear-vodka mixture supposed to be refrigerated for the week while its diffusing? This looks amazing and I’ve got a few pears that would be perfect! Thanks! Lee Anne – the recipe says a cool, dark place. I think a basement or some such area would be ideal. No need to refrigerate (unless your house is really hot).